There is often a lot of confusion surrounding sulfite allergies and sulfa allergies, particularly when it comes to skin care. Many people believe that if they are allergic to one of these agents, they are allergic to all of them. However, this is not the case. Dr. Joel Schlessinger sheds light on this common misconception and explains the differences between a sulfite allergy and a sulfa allergy. Sulfa and sulfite are two different things, explains Dr. Joel Schlessinger. “Sulfa is an antibiotic and sulfite is a preservative that is in a huge amount of things you eat or come in contact with each day,” explains Dr. Joel Schlessinger. Sulfa is the basis of many common medications. It is a synthetic antimicrobial agent that helps fight off bacteria. Sulfite, on the other hand, is a very common ingredient found in a number of food and drink products to increase shelf-life. Dr. Joel Schlessinger recommends Obagi for sulfa-sensitive patients. Dr. Joel Schlessinger, a board-certified dermatologist and cosmetic surgeon, routinely suggests Obagi for individuals who are allergic to sulfa. This line is both gentle and powerful on the skin without causing harm to sulfa-sensitive skin. Do you have additional questions about sulfa or sulfite allergies? Ask Dr. Joel Schlessinger in the comments below. Baby Quasar is a line of light therapy devices for treating wrinkles and acne prone skin. These red and blue light products are extremely powerful in diminishing the severity of wrinkles, fine lines and blemishes to create a more youthful complexion. The red light devices are used to minimize the depth of wrinkles while blue light therapy is designed to target acne and breakouts. These handheld devices provide fast, visible results with no downtime. Your skin receives natural treatment of your biggest concerns from these safe and portable products. Joel Schlessinger MD suggests red light therapy for those battling signs of aging. Baby Quasar Plus is a portable device that provides professional quality results with just six minutes of treatment each day. This line also offers Baby Quasar MD Plus, a larger and 50% more powerful version of the original red light therapy device. Both of these products are safe for use on the entire face, even around your eyes. Between treatments, apply Baby Quasar Anti-Aging Serum, which reduces visible signs of aging and restores a youthful glow. The formula uses hyaluronic acid to plump the skin and copper peptides to increase collagen production. Blue light therapy is a powerful treatment against stubborn acne, according to Joel Schlessinger MD. Address acne before it begins with Baby Quasar Baby Blue, which kills the bacteria that causes blemishes. This device helps diminish existing acne and prevents future breakouts to promote a clearer complexion. Baby Quasar Clear Rayz is another powerful acne treatment, but offers both blue and red light therapy to provide treatment similar to what is offered by dermatologists. By following the suggested schedule, users can experience visible results in the first week of treatment. Learn more about treating wrinkles and acne from Joel Schlessinger MD. Have you tried red or blue light therapy at home? Tell us about it in the comments. According to Joel Schlessinger MD, at home chemical peels can address a number of skin concerns. At home chemical peels are beneficial for most skin types to help refine and revitalize the complexion. These advanced products use the exfoliating powers of alpha hydroxy acids and other ingredients to encourage cell renewal. Peels can be used to fade the appearance of fine lines and wrinkles, diminish darkness or discoloration and minimize the appearance of minor skin imperfections. In this video, Dr. Joel Schlessinger recommends his favorite chemical peel products and provides a demonstration on how to use them. These two peels recommended by Joel Schlessinger MD are easy-to-use and highly effective. One of Dr. Joel Schlessinger’s favorite products is NeoStrata Skin Active Perfecting Peel. In this video, you can see how simple it is to use this two-step product. The first step is to apply the step one exfoliating pad to your cleansed complexion. You may feel slight stinging or experience redness following this step that should fade within a few minutes. After waiting ten minutes, apply the step two neutralizing pad to your complexion concentrating on areas where you experienced discomfort. Another two-step chemical peel Joel Schlessinger MD recommends is Dr. Dennis Gross Skincare Alpha Beta Daily Face Peel. Both of these products exfoliate and refine the complexion for a soft and smooth texture. Joel Schlessinger MD recommends at home chemical peels in conjuncture with in-office treatments. These two products work best as supplements to in-office chemical peels. The LovelySkin Spa and LovelySkin Spa Express both offer a number of procedures to brighten, revitalize and smooth your complexion. These at home chemical peels can enhance your professional treatment for even better results. Watch more videos by Joel Schlessinger MD on his YouTube channel. Dietary supplements, found in the form of pills or drink powders, can aid in enhancing the overall health of your body by improving skin tone, hair growth and sun protection. These products cannot provide best results on their own, but can provide visible results when paired with topical formulas. Dietary supplements can boost the efficacy of your products, Joel Schlessinger MD explains. Taking supplements regularly can provide faster and stronger results from skin care products like sunscreens and anti aging treatments. Heliocare Sun Protection Pills help protect against sun damage from the inside out. Just one pill each day can aid in building your body’s natural defense against UV rays, while three pills in one day can provide powerful protection in heavy sun. Some pills, like Murad Youth Builder Collagen Supplements, boost collagen production and stimulate healthy cell function. Joel Schlessinger MD offers suggestions for healthy hair growth and function. Elemis Body Enhancement Capsules – Cal-Metab Plus aid in boosting the metabolism to shed excess weight with help from exercise and good eating habits. Supplements like PHYTO Phytophanere Dietary Supplements can even help promote hair, nail and eyelash growth. While dietary supplements can offer faster results, they cannot work on their own. Weight loss and body-enhancing products need to be paired with healthy habits to ensure best results. Read more professional skin care advice presentations from Joel Schlessinger MD. Shop dietary supplements at LovelySkin.com. Do you include any of these products in your daily routine? Let us know in the comments! The national media has recently reported that women using skin care products that contain retinol should be cautious when it comes to waxing. Although this may seem like common knowledge to some, Dr. Joel Schlessinger says that this is very important to remember in order to avoid skin damage. Retinol is found in many skin care products, says Dr. Joel Schlessinger. Retinol is a common ingredient found in both over-the-counter and prescription skin care products. It is commonly used to fight the signs of aging and treat acne blemishes. One of the side effects of this drug is that the skin cells become sensitive and are less likely to stick together. Because the cells are less likely to stick together, the force of pulling wax off the skin would cause the skin to come off deeper than it should, causing irritation or even scarring. Dr. Joel Schlessinger says waxing can cause pain and scarring to those that use retinol products. Waxing is commonly used to remove hair from the upper lip, eyebrows and other areas of the face where retinol products may be used. A thin spread of wax is applied on the skin and then ripped off against the direction of the hair growth in order to remove the hair from the root. While this form of hair removal is effective, it can be abrasive to sensitive and retinol-treated skin. There are alternatives to waxing if you use retinol products. Dr. Joel Schlessinger recommends his favorite below. As an alternative to waxing, Dr. Joel Schlessinger recommends using the me smooth Hair Removal Device. This FDA-approved at-home laser hair removal device makes hair removal quick and easy. Learn more about the me smooth Hair Removal Device here. Do you use retinol products? How do they affect your normal skin care routine? Share with us in the comments. A recent report noted that Maine lawmakers are considering banning the use of tanning beds for all people under the age of 18. If this bill passes, Maine will be the third state to ban those under the age of 18 from using a tanning bed. The current law permits minors to tan indoors if they have a signed note from a parent or guardian. The new bill would ban all tanning for minors. Other states that currently have this ban are Vermont and California. Other states have made similar restrictions, such as prohibiting tanning among children under the age of 16 or requiring parental supervision. Dr. Joel Schlessinger is very happy to see these bills beginning to become more popular. Dr. Joel Schlessinger has always been a strong supporter of protecting all people from damaging UVA and UVB rays that can cause skin burns, premature wrinkles, hyperpigmentation and skin cancer. Find out other measures Dr. Joel Schlessinger has taken for enhanced sun protection safety. As a board-certified dermatologist and cosmetic surgeon, Dr. Joel Schlessinger is very passionate about healthy skin that is well-protected from the damaging effects of the sun. He recommends wearing sunscreen every day, even if you aren’t exposed to direct sunlight. 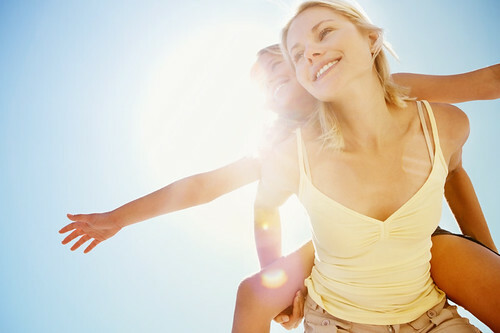 Discover Dr. Joel Schlessinger’s favorite sunscreens here. Dr. Joel Schlessinger is also a strong advocate for the use of sunscreen in schools. Many schools have banned the use of sunscreen for children, yet these children are still exposed to direct sunlight during outdoor recess. Dr. Joel Schlessinger appeared on the Huffington Post this past summer to discuss the implications of this ban. Would you support a ban of tanning beds for all minors? Tell us your thoughts in the comments. Applying an eye cream each morning and night can aid in minimizing signs of fatigue and aging like fine lines, dark circles and puffiness. Many men and women have a tough time deciding which eye cream formula is right for their skin due to the variety of formulations and ingredients. Dr. Joel Schlessinger has compiled his top eye treatment suggestions to help you find the right product to address your skin concerns. Treat your eye area with a powerful product approved by Dr. Joel Schlessinger. LovelySkin.com offers a variety of eye treatments to address any concerns you may have. Teamine Eye Complex and Concealer from Revision combat discoloration and dryness with green tea and vitamins, while concealing imperfections. You can also choose from an array of formulations like NeoCutis Lumiere Riche Bio-restorative Eye Balm or NeoCutis Lumiere Bio-restorative Eye Cream. Both of these treatments offer visible results in enhancing your skin, but come in two different formulas to match your preferences. These treatments contain PSP, a mixture of growth hormones, collagen building molecules and antioxidants, to minimize visible signs of aging. Find the Allure 2012 Best Anti-Wrinkle Eye Cream, StriVectin-SD Eye Concentrate for Wrinkles, which contains NIA-114+ and peptides to provide visible improvements in just two to eight weeks! LovelySkin also offers its own eye treatment, LovelySkin Ultra Firming Eye Lotion, which strengthens collagen and elastin fibers and protects against damage. Find all of these products and more by shopping at LovelySkin.com. Learn more about dark circles and how to treat them from Dr. Joel Schlessinger. Read Frequently Asked Questions About Dark Eye Circles to learn more about discoloration around the eyes. Have you tried any of these eye creams? Let us know in the comments section. According to Joel Schlessinger MD, ingrown hairs are one of the most common skin concerns. Ingrown hairs are an issue for both men and women that can occur anywhere on the body including the face, under arms and legs. This issue causes irritating side effects that disrupt the health of skin. In this video, Dr. Joel Schlessinger explains why this issue occurs and offers tips to avoiding this problem. Ingrown hairs occur when the hair shaft becomes trapped beneath the skin surface. This causes red bumps to form on the complexion that are often itchy and inflamed. While ingrown hairs are a common occurrence wherever an individual shaves, there are ways to avoid this issue. How can you eliminate ingrown hairs? Joel Schlessinger MD explains. It is important to determine whether or not the bumps on your complexion are caused by ingrown hairs or an infection so individuals should see a doctor before beginning any treatment. Shaving extremely close causes the hair to be too short to break through the top layers of the skin. To avoid this issue, Dr. Joel Schlessinger recommends trying not to shave too closely to prevent hairs from becoming trapped. He also recommends using a single blade shaving tool rather than a razor with three or four blades. This will prevent hairs from becoming too short. Finally, you should only shave an area once a day to avoid aggravating the skin. Joel Schlessinger MD recommends his favorite products to soothe irritation caused by ingrown hairs. If ingrown hairs do occur, Dr. Joel Schlessinger recommends a healing product such as FixMySkin Healing Body Balm Unscented with 1% Hydrocortisone. Hydrocortisone in this product heals skin to reduce redness, itchiness and irritation. You can also use PFB Vanish, a soothing gel that comforts the complexion. Do you need eight hours of beauty sleep for healthy skin? Joel Schlessinger MD reveals the answer. Getting enough sleep is critical for maintaining a healthy mind and body. Most beauty magazines, skin care blogs and websites recommend at least eight hours of sleep each night to help maintain a healthy complexion. In this video, Joel Schlessinger MD explains how important a normal sleeping schedule is for your skin. Joel Schlessinger MD explains why putting off sleep is bad for your skin. While a lack of sleep may not directly affect your skin, Dr. Joel Schlessinger explains that it can lead to a less healthy appearance. Skin loses moisture as it is bombarded with free radicals, UV rays and pollutants throughout the day. To protect against damage caused by these particles, your face must be washed and moisturized each night. The later you stay up, the longer you put off replenishing your skin which can lead to dryness, irritation and visible signs of aging. The effects of a lack of sleep can often be seen around the eyes, Joel Schlessinger MD explains. The delicate area around the eyes is more prone to visible signs of aging such as fine lines, crow’s feet and dark under eye circles. A lack of hydration caused by staying up too late can worsen these conditions and cause dark bags to form beneath the eyes. These dark circles can also be the result of wearing contact lenses for too long, which causes swelling and puffiness. While eight hours of sleep may not be possible for everyone, Joel Schlessinger MD recommends getting as much sleep as possible to maintain a refreshed and rejuvenated appearance. Joel Schlessinger MD suggests this non-hydroquinone treatment for a more even skin tone. Ingredients like niacinamide, squalane, retinol, algae extract and licorice root extract work to rehydrate, soften, lighten and strengthen your skin. The LYTERA formula causes little to no irritation, making it ideal for even the most sensitive complexions. With regular use two times each day, you can experience visible improvements in as few as four weeks with noticeable changes continuing over six months. To experience best results, apply SkinMedica LYTERA Skin Brightening Complex to the face, neck, décolletage or other affected areas twice daily. When used each morning and night on only the face, one bottle should last approximately 60 days. LYTERA can also be paired with other SkinMedica products like TNS Essential Serum. Learn more about hyperpigmentation and how to prevent it from Joel Schlessinger MD. Prevent discoloration and sun damage with recommendations on the best sunscreens from Joel Schlessinger MD. Do you have questions about hyperpigmentation? Ask your question in the comments.